So this week my family had 20+ appointments. I wish I was joking. Five kids have three days of therapy, an appointment each day. One daughter had a tooth pulled and a cavity filled. Four kids had their yearly eye appointments. And, finally, two more kids had doctor’s appointments. I suppose when you have seven kids at home that’s to be expected. They all need check ups. And, even though we knew that most of them had physical and learning disabilities when we adopted them, that’s a lot of weekly trips. Then, there was my book deadline. I turned in my new book, and Monday. AND there was the news that I needed to do more work on it before the editor could even begin her work. BIG SIGH. Plus, I have a horrible head cold, and my husband has been out of town all week. Gee, this is starting to sound like Alexander and the Terrible, Horrible, No Good, Very Bad Day! The thing is … it was a tiring week, but it wasn’t a bad one. We’ve gotten to the place where a lot of our kids’ behavior issues are manageable. The house is a MESS, but the kids are happy. They’re getting a long, and they’re excited that it’s December. More than that, there’s some good news too. I got some good news from publishers, from audio book people, from my producers. AND I discovered that the contract is SIGNED and my book Praying for My Future Husband, which I wrote with my friend Robin Jones Gunn, will be published in CZECH!! Since my daughter Leslie is a missionary in the Czech Republic this is wonderful news! 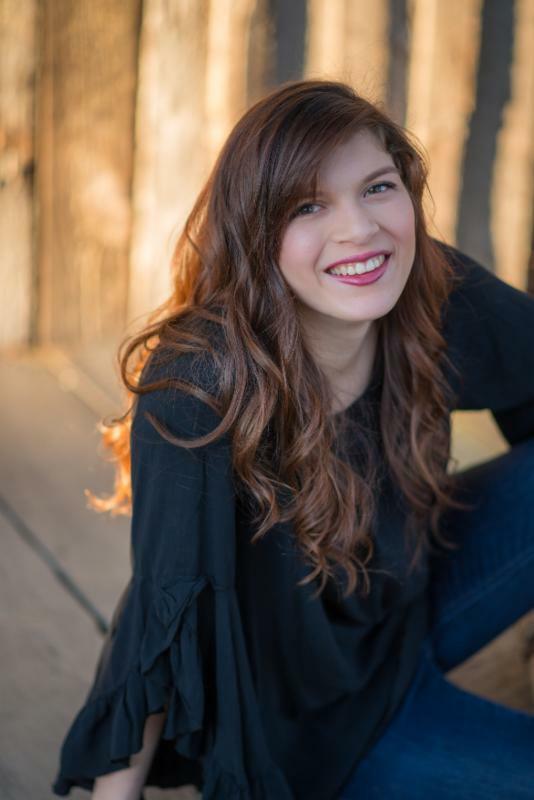 I also applied for a program that could possibly provide home help for Grandma (which is needed), and my daughter Maria got her GORGEOUS Senior photos done. (Example below.) As you can see, there were spots of goodness mixed up with the busyness … and just isn’t that how life is?! There are many days when my life DOES NOT feel like my own. I’m a cook, a cleaner, a taxi driver, a teacher and counselor. I pour myself out each day and drop into bed at night exhausted. And then I wake up and do it again. Yet overall, I have joy. How? 1. I choose to be joyful. I choose to smile. I choose to be gentle. I choose to be kind. I choose to not worry about the mess. I choose to be thankful. 2. I focus on the truth. The truth is that God is at work. The truth is God is not surprised by the needs of these kids. The truth is God loves me even if the house is a mess. The truth is these kids have a home, and someone who takes care of them. As we sneak into December, I pray that you can find joy even when your life is not your own. I pray you can focus on the truth, even when life is tiring. I pray that even when your life isn’t your own, you’ll know that it is HIS. Needing joy this season? 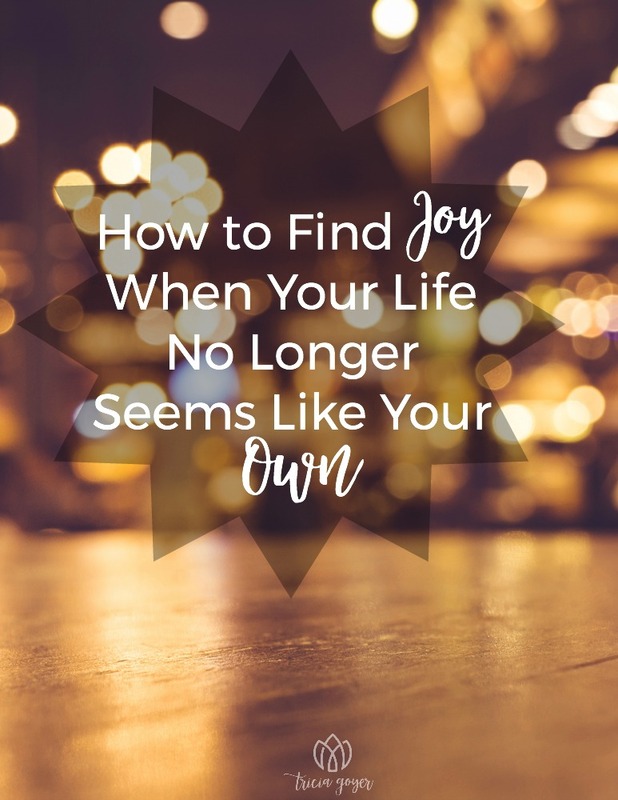 Here are tips from @TriciaGoyer on having joy when your life is no longer your own.